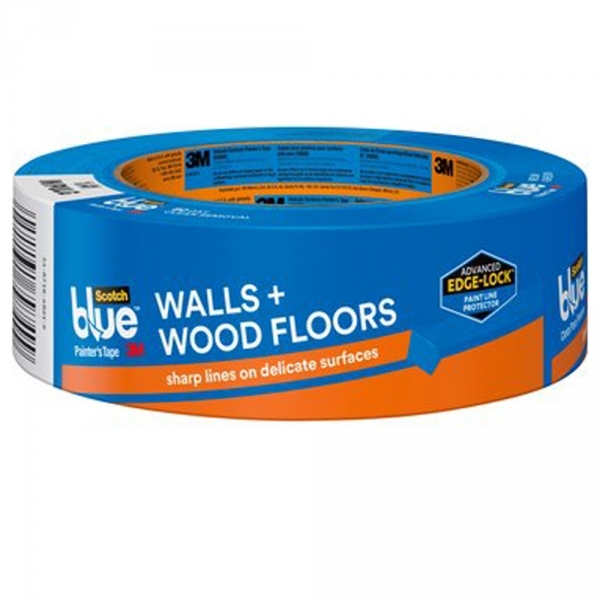 >3M ScotchBlue™ Painter's Tape For Walls and Wood Floors - .94 in. x 60 yds. 3M ScotchBlue™ Painter's Tape features Advanced Edge-Lock™ Paint Line Protector for super sharp paint lines! ScotchBlue™ Painter's Tape Delicate Surfaces with Advanced Edge-Lock™ Paint Line Protector 2080EL is ideal for freshly painted surfaces (24 hours old) and other delicate substrates because it removes cleanly with no surface damage.